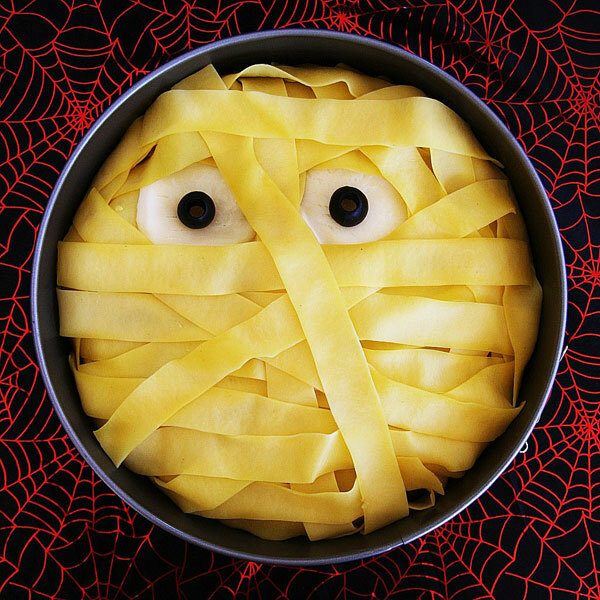 Whether you are a parent looking for treat ideas for school parties or want a festive snack for your Halloween bash, we have pulled together our five favorite ideas that won’t gross out guests in either category. 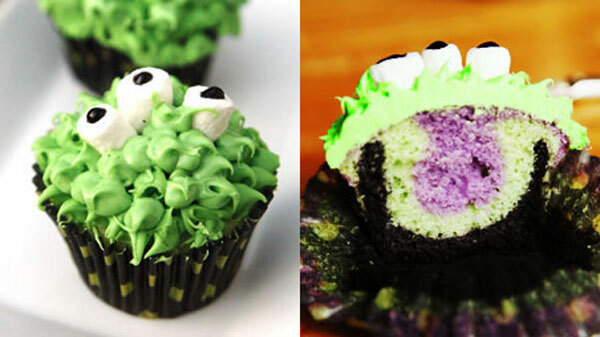 If you are looking for a Halloween treat besides pumpkin sugar cookies or spider web cookies, try these monster cupcakes from PBS Parents’ Kitchen Explorers blog. You can let the kids decorate these multi-colored monsters. 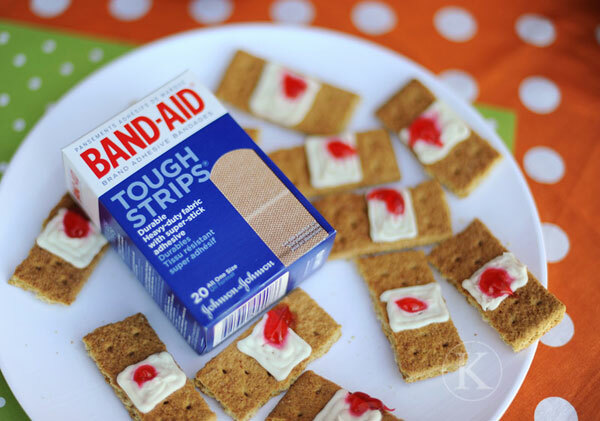 Used bandaids probably do not sound very appetizing at all, but that is what makes these crackers a great Halloween snack! Wrap your meatloaf in some pasta noodles to make your dinner look like a yummy. Mozzarella and olives easily make great eyes to add as well. Dessert anyone? 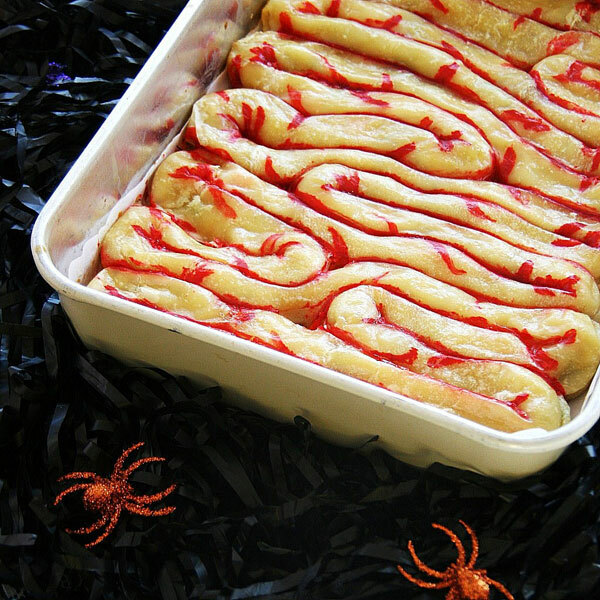 Wrap some frozen puff pastry in a baking pan then get creative with some red food coloring. This pastry will make a nice conversation piece! 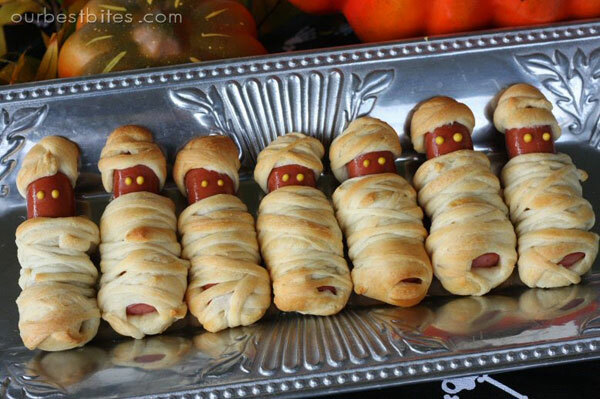 These “Mummy Dogs” put a spooky variation on the classic pigs in a blanket appetizer. You can use your preferred hot dog condiment to make the eyes.